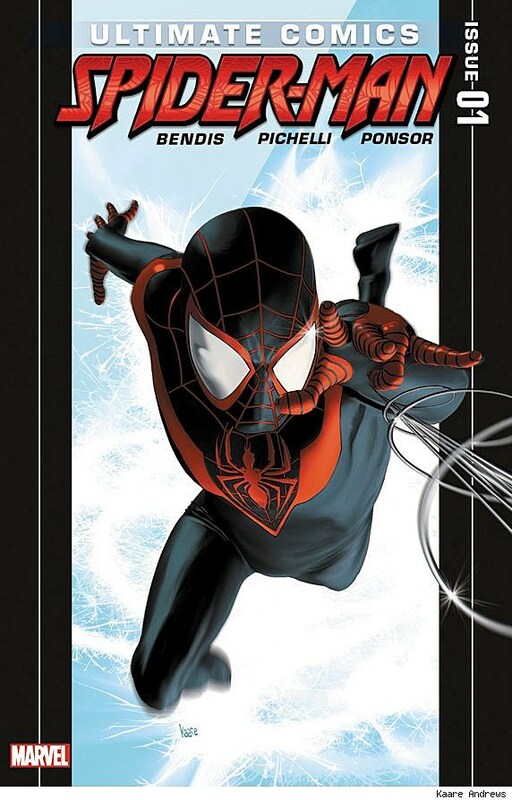 Following the unveiling of its auspicious new Ultimate Comics Reborn creative teams earlier this month, Marvel Comics has released cover artwork for its new Ultimate first issues, all of which has been illustrated by Kaare Andrews. 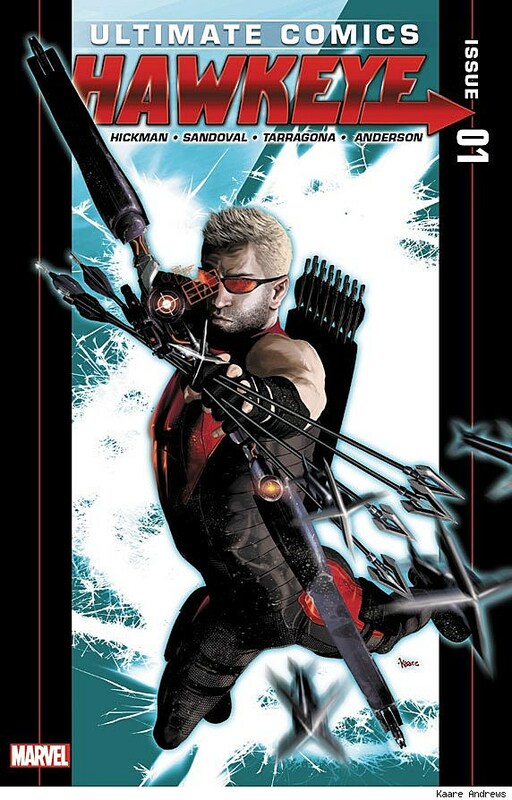 You can check out Andrews' eye-catching first-issue-style poses for Ultimate Comics Ultimates, Ultimate Comics Hawkeye, Ultimate Comics X-Men and Ultimate Comics Spider-Man after the jump.Marvel's Ultimate Comics line launched in 2000 as a separate and largely new-reader friendly alternative to the publisher's existing line, which had built up an enormous amount of continuity over the decades. 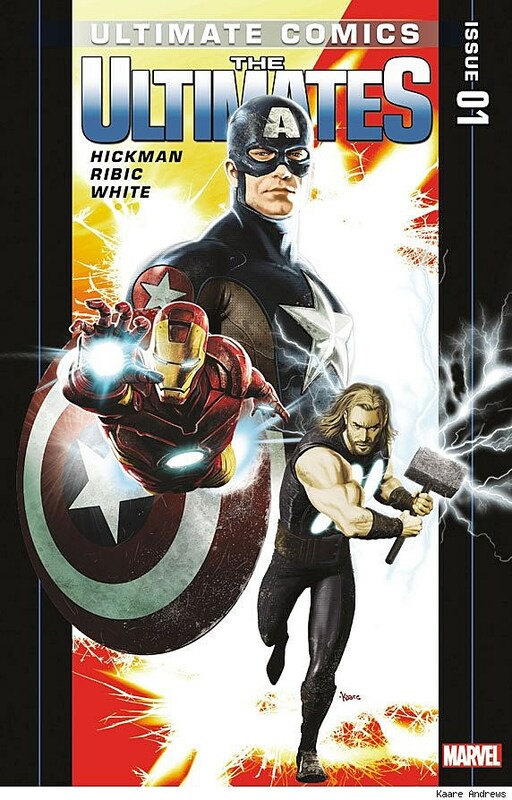 After ten years, the Ultimate line itself was in need of a recharge, and Marvel will relaunch the line in August with new #1 issues of several titles by such creators as Jonathan Hickman, Nick Spencer, Brian Michael Bendis, Esad Ribic, Paco Medina and more. 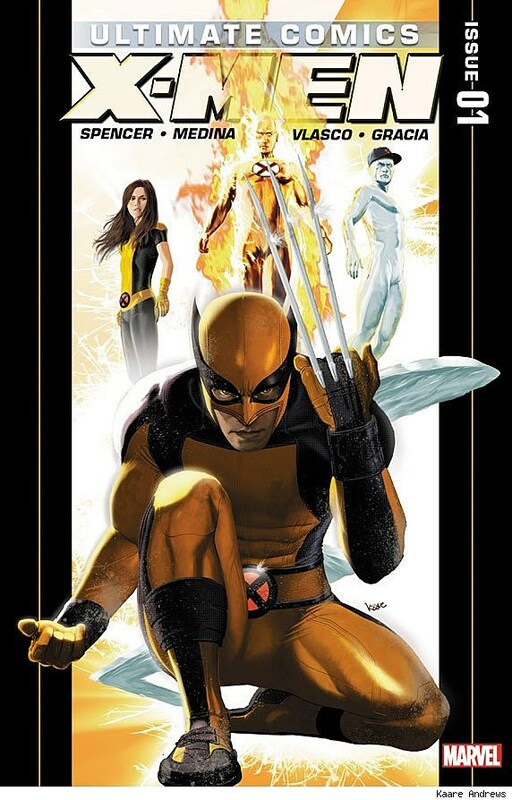 Known for work on such titles as Spider-Man: Reign and Astonishing X-Men: Ghost Boxes, Kaare Andrews' cover artwork for the new Ultimate Comics series will come with a redesigned trade dress. "Kaare is doing the best work of his career with these covers," said Marvel Senior Editor Mark Paniccia. "With Ultimate Comics Universe Reborn, all of the titles will be tighter than ever, so when it came time to think up ideas and concepts for the covers – we wanted a sense of unity to tie the books together. At the same time we wanted striking covers that jump out at you on the stands. Kaare's bold design sense made him a natural choice." Ultimate Comics Ultimates #1 and Ultimate Comics Hawkeye #1 go on sale in August, with the remaining titles to follow later this Fall.